David Koch, Samantha Armytage and Natalie Barr will host this year's Carols in the Domain. 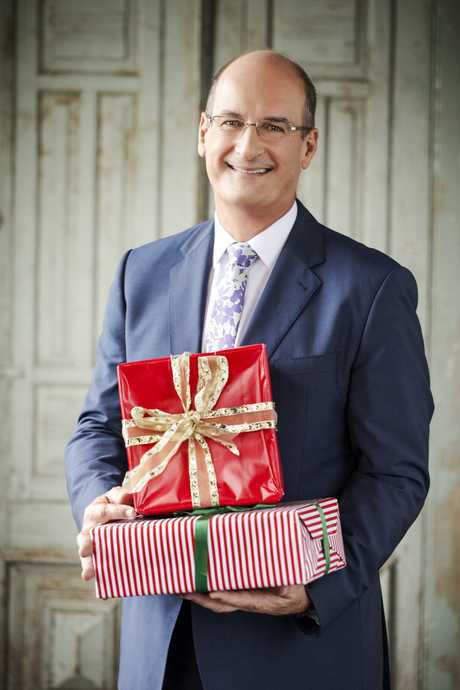 CHRISTMAS is serious business for David Koch, and not just because he co-hosts Seven's annual Carols in the Domain. The Sunsrise anchor is known for his love of Aussie Rules and finance, but he's also a self-confessed festive season fanatic. "We are a family of Christmas nuts and we always celebrate in a big way," he tells The Guide. "We get a live tree, which we buy from a tree farm on the outskirts of Sydney. The grand kids come along, they choose a tree, someone chops it down and then like National Lampoon's Christmas Vacation we tie it to the top of the car and try to navigate home without it falling off. "I also turn the back room of the house into a Santa's cave each year with lights, nutcrackers soldiers and a blow-up Santa and reindeer." Sunrise's David Koch returns to host Carols in the Domain. Supplied by Channel 7. Each year, an estimated 50,000 people pack into The Domain and set up on the grass for a night of singing, fireworks and other festive entertainment. Now in its 36th year, the televised event will feature performances by Troy Cassar-Daley, Samantha Jade, Isaiah Firebrace, Thirsty Merc, Paulini, Mark Vincent and The Tap Pack as well as appearances by The Wiggles, Mickey Mouse and the jolly man himself. "The Carols are the official start of Christmas festivities and it's all about reminding us that yes you can have a busy life and be distracted, but it's the important things that really matter and that's family, giving and the goodwill we should be showing each other," Koch says. "It is like a music festival and just like a music festival you can feel the goodwill of everyone there. They've come for a reason - because they love Christmas and what Christmas stands for. "It's infectious; if you could bottle that spirit and goodwill for the entire year it would be wonderful." The Carols also mark the end to another successful year for Koch and his Sunrise co-stars. Once again they have defeated breakfast TV rivals the Today show in the ratings - a feat they've pulled off for more than 10 years now. 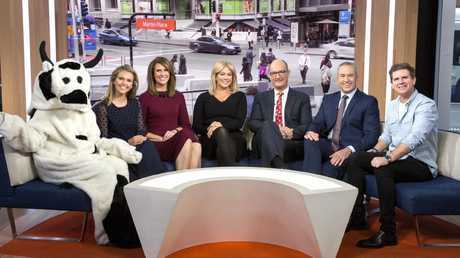 Koch recently signed another two-year deal to co-host the show alongside Samantha Armytage, newsreader Natalie Barr, sports reporter Mark Beretta, entertainment reporter Edwina Bartholomew and weather presenter Sam Mac. "It is the world's best job without a doubt," he says. "You get to meet some amazing people, do some incredible things and support wonderful organisations. What we love are the values and the culture of the show. We're very lucky to be part of so many Australian households so early in the morning. "Next year we've challenged ourselves to do bigger and different things. We've got exciting things planned." Carols in the Domain airs on Saturday at 8pm on Seven.